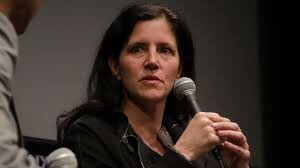 Oscar-winning Laura Poitras is suing the Justice Department and other federal agencies after they have denied her access to public records documenting the dozens of times she said she has been questioned and searched at airports, Variety reports. The “Citizenfour” director claims in the lawsuit that she has been detained every time she entered the country from 2006 to 2012 to work on her documentary. Fed up with being targeted, she filed a Freedom of Information Act request to obtain records about those incidents. She said that her requests have been virtually ignored. Posted: 7/14/15 at 10:28 AM under News Story.